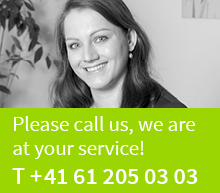 DUFOUR was founded in 1991 and is now a prestigious and successful law firm in Switzerland. From the beginning we wanted to offer more to our clients than just legal advice. We created a quite unique consulting culture – with unconventional ideas, an excellent team spirit and a concept of competence that extends beyond the legal view to include the social and emotional aspects of a mandate. Today DUFOUR successfully advises a large number of private individuals, companies, foundations, non-profit organisations and pension funds. In the field of pension funds, charitable funds, foundations and NPOs, DUFOUR has established itself as THE specialist in Switzerland. We offer comprehensive legal advice and have a team of recognised experts with core skills in corporate law, matrimonial property and inheritance law and employment law. In addition, Dufour has excellent knowledge in the fields of pharmaceuticals, chemicals, medical technology, trade & logistics, construction and the art market. Time and again we find that providing intelligent, creative solutions in particularly complex, challenging projects, successful legal advice means more than just being right. It demands all of our expertise, experience and passion as legal advisors. Pro bono (Latin: for the public good) describes professional work undertaken voluntarily and not for profit for the public good. Community grows through the people who (voluntarily) commit to it. The partners of DUFOUR work on a “pro bono”basis, in the best sense of the term. We know the region and have a close connection with the people who live and work here. Our pro bono commitment extends to charitable foundations, associations, organisations and public functions. For us, voluntary support of organisations and initiatives that are relevant to society is an important part of our legal work.